What better way for me to say Hello to the blogging community then by saying Goodbye to an old favorite. Cult Nails has closed it’s doors and will no longer be making polish. I wish them well, but I will miss them! I just received my final Cult Nails order in the mail and I chose to wear this beauty, Flash. Flash is a grass green crème with an ah-ma-zing formula! I used Cover Band by Ninja Polish Sticks N Stones as an accent on one finger. I really love how it came out! I did this mani a few days ago when the sun was out. It’s so gloomy here today! 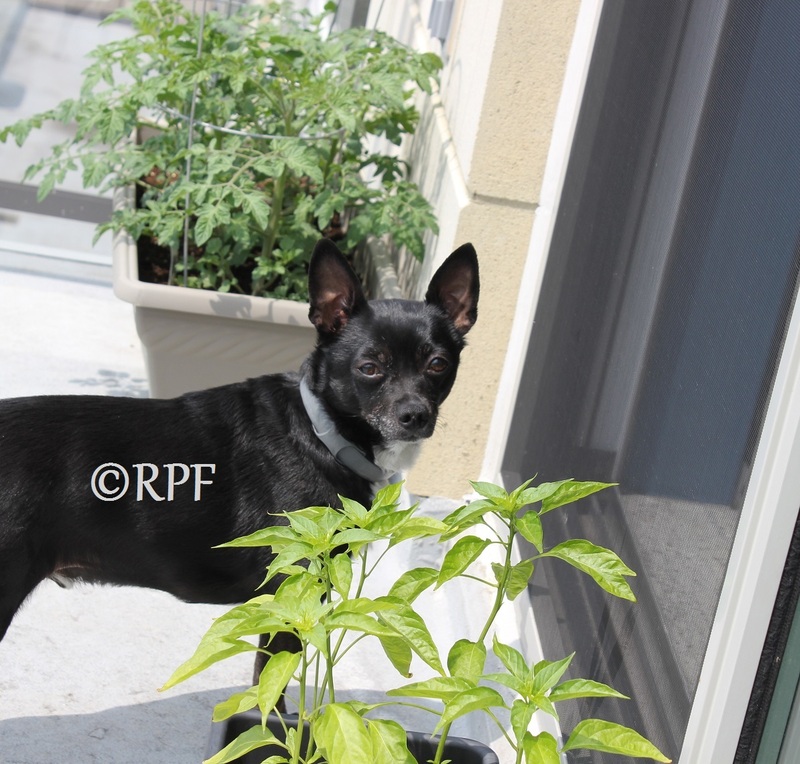 Here’s a pic of Chico Checking out our “garden”. Well, as much of a garden as you can have on the 15th floor of a condo!! Thanks so much for stopping by and taking a look at my blog! Previous Previous post: My very first blog post! !